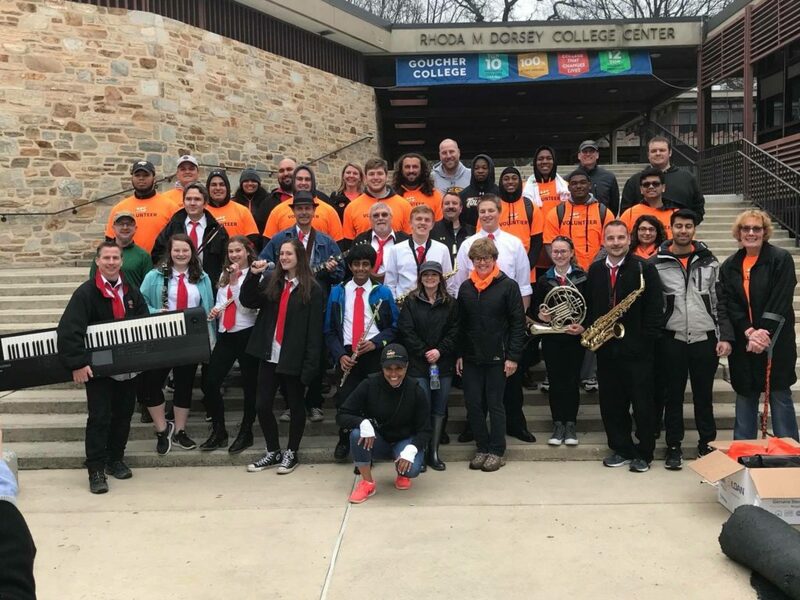 The JoeyDCares Rock Orchestra (JDCRO) is a non-profit community group of students in middle and high school and adult volunteer musicians who perform concerts to support charities and the community. Talented musicians perform as vocalists or string, brass, woodwind or rhythm section players, providing fun, family-friendly rockin’ musical entertainment. 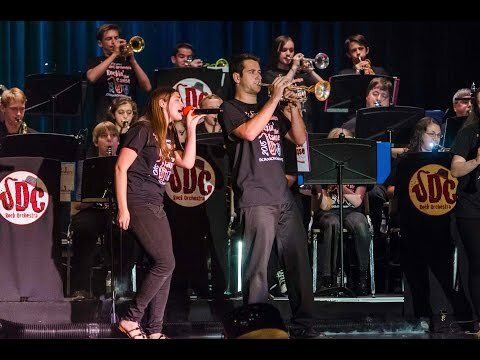 Under the leadership of Joey Dundore, the JDCRO refines an ambitious set of Rock, Pop, Motown, Jazz & Classical favorites as they prepare for live shows. 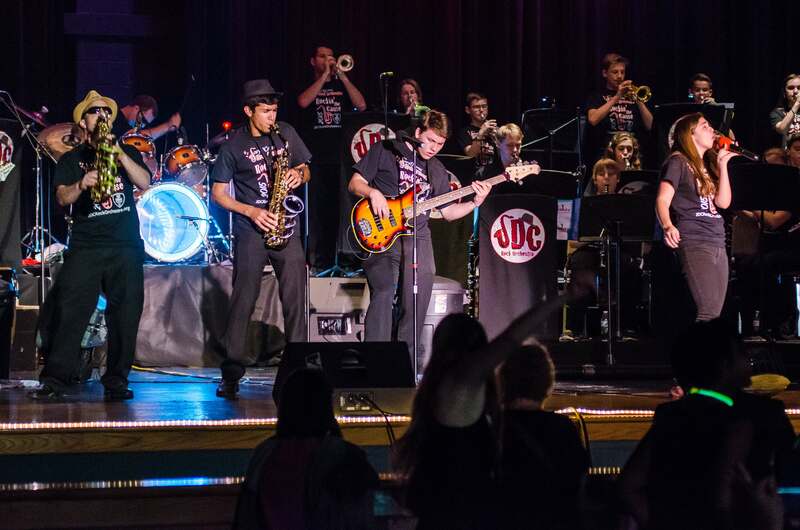 With singers and a wide variety of instrumentalists, from violins to tubas to electric guitars, saxophones and more, the JoeyDCares Rock Orchestra rocks the music during many exciting performances at charity and community events every year! Over the years the JoeyDCares Rock Orchestra’s annual Rockin’ the Cause concerts have raised almost $40,000 for charities. The orchestra has performed at the Hippodrome for 2,000 attendees at Dr. Ben Carson’s 20th Anniversary Scholars Fund Awards; at the Inner Harbor for Christmas Village in Baltimore’s charity weekends; at M&T Bank (Raven’s) Stadium to support the Juvenile Diabetes Research Foundation; and many, many more local community and charity events. 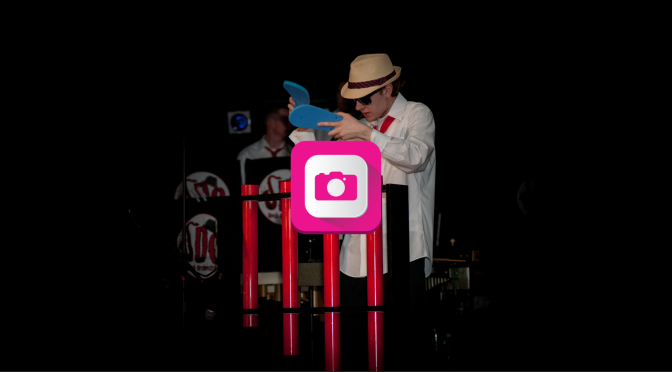 Let us know if you’d like us to perform for your upcoming event! Interested in joining our community music group? Come to an Open Rehearsal. 6th-12th grade students and adults can also learn more on our membership information page. Too young to join? Mr. Dundore has several instrumental music classes for 2nd through 5th grade students through his Awesome Kids Music Programs! Meet our Rockin’ the Cause 2018 Sponsors!